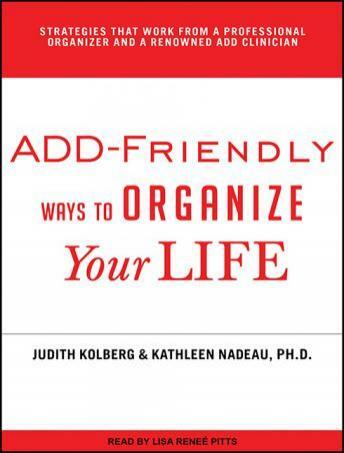 The book is chock-full of suggestions for organizing life to be a bit more manageable- with ADHD and probably just in general. It's truly a game-changer- I just ordered a hard copy because I'm so sure I'll be referring back to it for details regularly. Thankfully the app allows the narration to be sped up- the narrator was sooooo slooooow, and sped up it became evident that her accent was not "standard TV American" and thus wasn't the most comfortable thing for me to listen to. But the content more than made up for it. Love this book! It helped me to understand how my ADD brain works so that I could better deal with it. The book is set up with a simple, easy to follow outline and offers practical and easy to implement steps to improving effectiveness in everyday tasks. The tools in this book have helped me to maintain better control of all of the tasks that a working mother deals with. In turn, it has lowered my anxiety levels that come with being overwhelmed.